Heal Your Bodyis a fresh and easy step-by-step guide. Just look up your specific health challenge and you will find the probable cause for this health issue and the information you need to overcome it by creating a new thought pattern. 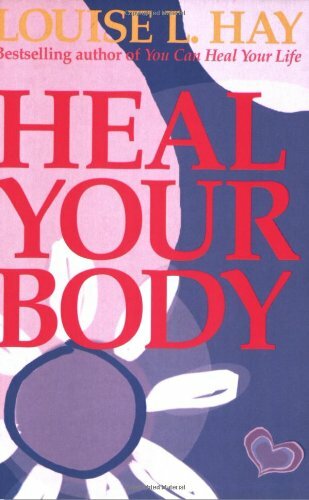 compilation, entitled Heal Your Body, is also known as "The Little Blue Book." After moving back to her native Southern California in 1980, Hay wrote and published the book You Can Heal Your Life. A guide to changing thinking to maintain a better life, the book reached the New York Times bestseller list, remained there for 12 consecutive weeks, and sold more than 3 million copies in 30 countries throughout the world. Other Hay books, including Empowering Women and Life! Reflections on Your Journey, have been translated into 23 languages. Hay founded Hay House, Inc., in 1984. Beginning as a small venture in the living room of her home, it became an internationally successful corporation which has sold more than 10 million books and tapes since its inception. Some of the authors represented by Hay House include Dr. Wayne Dyer, Dr. Barbara De Angelis, and Stuart Wilde. Hay is also the author of the monthly column "Dear Louise," which appears in more than 50 publications worldwide.